Wow. I go to a lot of bakeries, but I’m rarely wowed all that much anymore. Living in France, where there is literally a bakery on every street corner (and a few on each block, in between the corners..), it’s not that I’ve become blasé. But to me, a bakery is more about just racks or showcases of pastries, lined up, then dropped into bags and sent off with a customer. Without getting all gushy, bakeries are really parts of communities; places where people get their bread, but also places where friends gather for coffee or a snack. And as soon as I pulled up in front of Bourke Street Bakery here in Sydney, I felt it was somewhere very special. When I arrived, (relatively) early in the morning, lots of people were lined up, waiting to pick up a morning pastry or a coffee to share with friends outside at one of the wooden and steel tables parked on the sidewalk. Because I don’t have any friends here – although I’m desperately working on changing that… – I was fortunate to come with a group of cooks and food writers who are also in Sydney for the food festival, so we got a chance to try almost everything, courtesy of owners Paul Allam and David McGuinness, who started the bakery in 2004. And that (well, kind of) cured me of that. But although there was a slight bit of terror in the eyes of both Paul and David, when I asked how much work it took to start their fantastic bakery, it was obvious from the spread in front of me that whatever they went through in the past, they are now squarely on top of their game. 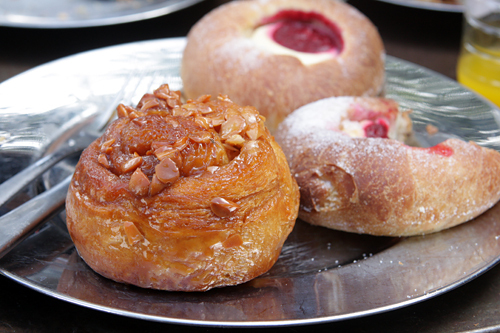 And it’s not just one of the best bakeries in Sydney, but one of the best in the world. 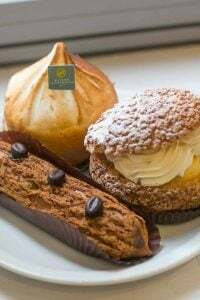 When I was in London at Nopi, owner and chef Yotam Ottolenghi said that no matter where else I went in Sydney, I had to go to Bourke Street Bakery. And he was right. I rarely eat croissants when I travel simply because I live in France and they’re available on every street corner bakery. And I want to try something else when I’m out of the country. But their croissants and pain au chocolat were so, so beautiful, with their swirls of baked yeasted pastry dough scrolled around itself, that I had to sneak a corner of one. 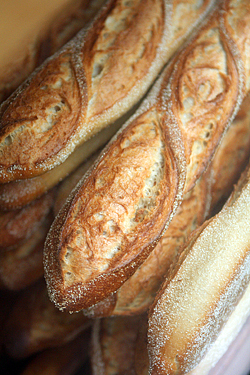 The bread was wonderful, too, and rivaled anything I could get back home in Paris. My biggest regret is that even though we managed to eat our way through practically everything in the shop, I missed the savory tarts and baked good, which start coming out of the ovens at 10:30am. But since this was my third breakfast of the day, I figured it was a good excuse to go back. And I certainly plan to head over once again before I leave. Or maybe twice. Gosh… the queue is going to even more massive now. I just had brunch at the Bourke today. And yes, please try the pork and fennel sausage roll. Amazingly awesome. And the beef pie…. I shall stop now. Wow what an honour from yourself and Yotam. I lived in London for the last 10 yrs and moved back in Dec ’10, I still haven’t made it to Bourke St Bakery. I so must rectify that!! 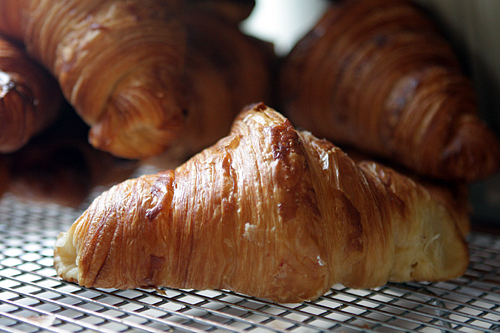 It’s 4 am here and you have me wanting fresh croissants. Crap. Wow, I knew Bourke Street Bakery was good, but, I agree that’s some rap coming from Yotam and yourself. Sounds like it is world class. Bourke Street Bakery is my favourite in Sydney! Hope you are enjoying your stay here! The ginger brulee tartlets are my absolute favourites, I must get around to making them myself from the cookbook one of these days! Welcome to Sydney! and yes, Bourke Street Bakery. I discovered I am coeliac a little more than a year ago and my first thought, followed by a lot of grieving, was: no more Bourke Street Bakery. Gorgeous! I bought their book last year and must say it’s fantastic! You’re sooooooo lucky to be there! Guess I’ll have to make due with the book till I make it down under one day! Book is great too! Nice post David, as usual. You must must must try the pork and fennel sausage rolls if/when you go back! Faheems Fast Food in Enmore. I’d order their tandoori chicken and some brain nahari. Then wash it down with some mango lassi, that place rocks you should check it out when your there. 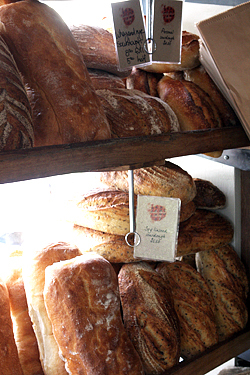 But if your buying bread head to iggys in between Bronte and Enmore go on Sunday for their amaZing sourdough fruit loaf. Ayway if you get upto Noosa come in for some dessert. Next time you are in Britain, look for double cream (minimum milk fat =48%) in any supermarket. I would have thought that would be a satisfactory substitute. lovely to hear that you’re in our part of the world :) hope you enjoy your stay! i’m yet to visit bourke street bakery although a friend did give me their book last christmas and it’s great! Pork & fennel and the lamb & Harissa sausage rolls are the BSB’s savory gems. Stephen: Thanks..am sure it is available in a few countries but folks in other places might have trouble finding it. And I think it’s one of those recipes that might depend on the percentage of cream. Anyways, it’s also one of those things that’s better going to the source…and I plan to go back. Megan: When someone told me about the “wagonwheel” I knew I had to have one. 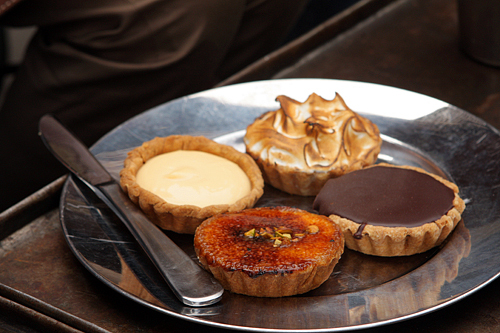 Then they said the Bourke Street Bakery tartlet was a riff on it – still, I want to try the original ~! Wow, it’s 11pm here in Sydney and I can’t believe you are here in all places! As an American living who used to live in San Francisco, Chicago, and Atlanta, I really miss some of the great places that I used to frequent. I eat at Bourke Street Bakery in Alexandria several times a week and may have helped clean out their lovely tarts this week when we had a big group to our offices a few blocks away. Please let me know if you would like a tour guide- would be thrilled to take you to some places I’ve frequented over the last 6 years here in Sydney. Welcome to Sydney! I was chumping on Poilâne’s bread & croissants yesterday morning and was thinking ….. in perspective, BSB wasn’t bad at all in world scale! Sometimes, one have to be away from home to appreciate how good we have it at home. the 45% cream is also hard to come by for mere mortals like us. It is more of a “industry” product. check the book title, David. it sounds like something from the movies. What is the name of the beautiful raisin-rolled pastry that you have several pictures of, David? Wow, ‘best in the world’ – that’s quite the statement. But based on my memories, and especially your photos, I can’t say I disagree! The first time I ate one of those ginger tarts the first thing I thought of was your ginger ice cream from The Perfect Scoop (which I had recently made). I hadn’t had much experience with creamy, sweet ginger things, but those tarts sealed the deal for me and now I make that ice cream regularly, and always want to inhale the custard before I get to the cooling/churning stage. Those tarts really are amazing. Sydney is a great place to live, because you don’t have to live dead in the center of the city to get really good food. 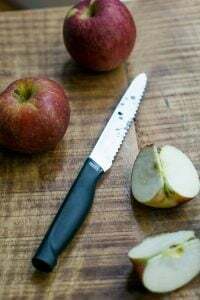 I live on the outer edge of the Inner West (10 minutes by train from the city center, in Marrickville), where I have access to amazing produce from Vietnamese green grocers, three fresh food markets every weekend, and our very own Bourke Street Bakery branch! I’m sure you’ll enjoy hunting down some good friends (and more good food) in Sydney, and we’ll be very happy to have you back here again soon. 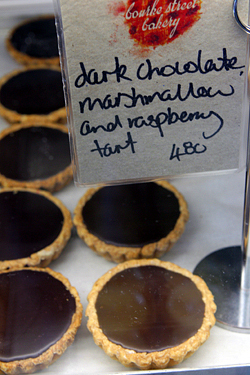 The Bourke Street Bakery cookbook was one of the ones that I’d sit around at Omnivore just staring at the cover with those ganache tarts all day long. It’s painfully beautiful. I’m so glad that you took the opportunity to eat everything you could. When I finally get myself to Sydney, this will be my plan as well. How did I miss this little gem last time I was in Sydney? Next Christmas I plan to follow in your foot steps and attempt a little bite of everything they have to offer. DEFINITELY get the lamb and harissa sausage roll there- it’s really heavenly. It’s one of those things that bookmark a good day. And I always get a ginger brulee tart afterwards! Such a smashing meal. I just find myself heading back time and time again for MORE! It’s a really special place. Fabulous – they look as good as anything I’ve seen in France! I wish they weren’t on the other side of the world! The bakery looks incredible. 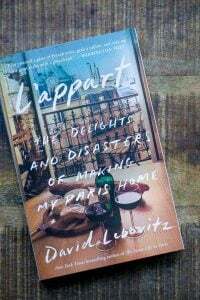 I am glad you tried the croissants they looked wonderful.I tried to find the book on Amazon but they have only two copies, paperback, for over $60 each. I wonder if it will ever be reprinted and distributed in the US – otherwise, I may never get to read the book. What a bakery! Everything looks delightful. Ohh, I want to go to there. I mean, I’ve always wanted to go to Sydney, but man. Yes yes, Bourke St Bakery IS absolutely as good as you suggest however as other Sydney locals have commented above, their savory food is as divine as their sweet. As our national dish is our humble meat pis, you MUST try theirs. I’d have to say they are without a doubt the best in Australia! It’s an honor to have you here for our food festival. As you no doubt can tell, we love food and we are very serious about it too! Gorgeous. I think I’m going to buy the book. Yes yes, Bourke St Bakery IS absolutely as good as you suggest however as other Sydney locals have commented above, their savory food is as divine as their sweet. 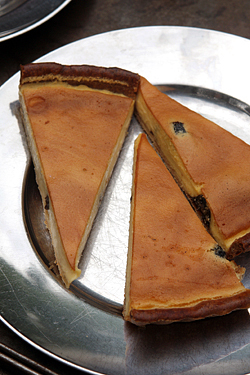 As our national dish is our humble meat pie, you MUST try theirs. I’d have to say they are without a doubt the best in Australia! It’s an honor to have you here for our food festival. As you no doubt can tell, we love food and we are very serious about it too! Wow, you’re here in Sydney! 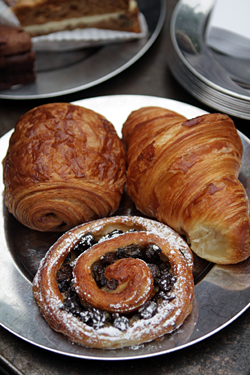 Bourke Street Bakery looks amazing, more proof I need to meet my cousins in Sydney and visit.. or at least get the book. 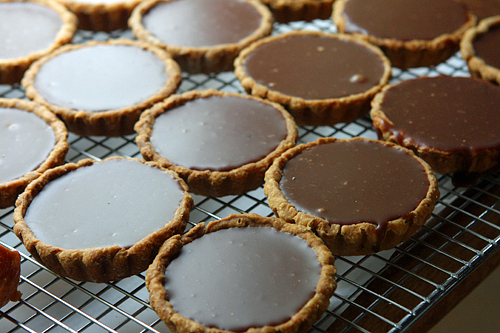 The UK’s double cream is 48% fat by the way, so I could make the tarts (ooh yes please)! Oh, this looks so delicious. It seems like I have definitely missed something when I was in Sydney. As you say, they can absolutely compete with French bakeries. Ooh I have to go to Sydney. My mouth is waterinng just reading your blog! My absolute favourite bakery in the world. LOVE Bourke Street Bakery. Nothing compares. I used to be a regular at the original location and the one on Broadway, and your photos made me weep! I literally long for Bourke Street’s goodies at times. Hope you tried their little carrot cakes and chocolate cakes as well. Those were favorites for birthdays or very decadent afternoon teas! Try the fennel and sausage rolls if you go back later in the day. Must. get. back. to. Sydney. very. soon. Wow! I’ve just gotten their book delivered from Amazon, (4days ago!) 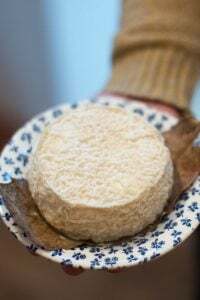 and was telling a friend who has inherited her aunts Sydney home that she ought to make it there to let me know if their stuff tastes as scrumptious as it looks in the book, which is a brick of utter loveliness. Cannot wait to get home and to try out some of the recipes. Synchronicity strikes again…. 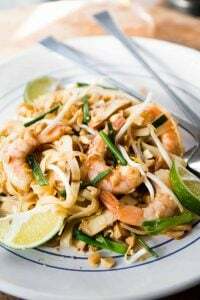 Suzanne: I haven’t had a lot of time to read through the book because the culinary festival here has kept me quite busy, but I did see that Book Depository has the book in hardcover, so you might want to check and compare. might have changed the course of Aussie history. 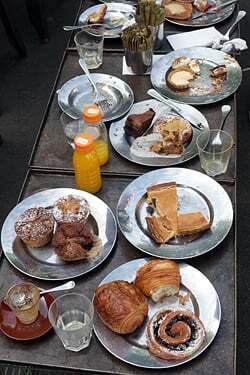 Everyone of those pastries is a work of art; I can only imagine how magnificent and divine they are, but it’s obvious. The Smell-O-Vision on this computer just blew a fuse! Re the book, it is available at amazon.co.uk – new and used. I use that and the French site for books sent to the US, and the postage isn’t really all that bad and delivery time quite quick. Hi David, it’s so fabulous to have you here in our backyard. Equally as fabulous is the fact I have eaten and tasted something you’re talking about for a change. The bakery is 5 minutes from where I live and Im so glad you gave the thumbs up to their croissants. I’ve always wondered what a french croissant or pastry would taste like and almost cry when I read one of your posts about Paris bakeries(and everything else), so Im glad our Bourke St Bakery comes close. Off topic though, have you had the pleasure of eating some peanuts called “Kri Kri” which are coated peanuts in flavours like BBQ, Chilli or sesame seed. If not, I would be happy to point you in the right direction. (My friends own a nut roasting business). Once again, glad you’re here and hope you don’t leave before the weather clears up and you get to enjoy our sunshine. Oh and ice cream…. Wow, those sound good (and kind of dangerous…) Will try to scope some out. I plan to hit Chinatown again – are they available over near the George Street area? Wow – those are some of the prettiest baked goods…..I’m glad you had a good time! 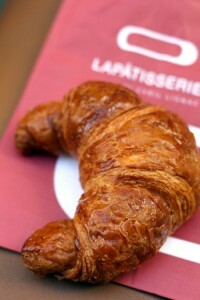 The croissants look absolutely incredible! 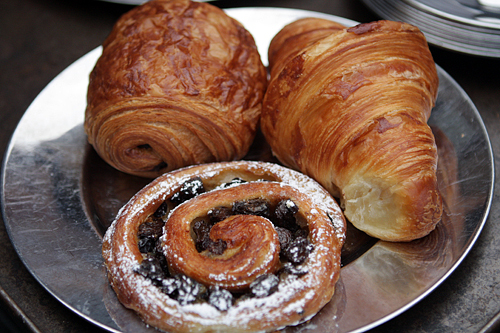 I hear nothing but wonderful things about Bourke St Bakery and am dying to visit. However, I have their cookbook and it is somewhat disappointing. I give them the benefit of the doubt and wonder if perhaps they have struggled to translate commercial amounts to domestic recipes. OH. MY. YUM. this place looks like heaven on earth. That decides it–I’ve got to make the trip down under someday!! Welcome to Australia. The Bourke Street Bakery is great. 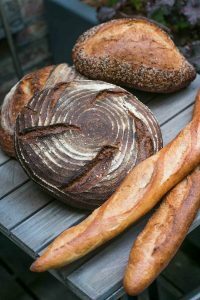 If you have time, another great place to visit is Bellingen – Mid North Coast NSW…there, they have a fabulous organic sourdough bakery called Hearthfire. Fantastic sourdough breads but even more delicious are their sourdough croissants and custard snails. Their savoury tarts are very addictive and their pies are amazing! Hope you get the chance to eat there. YOU ABSOLUTELY MUST MUST MUST GO TO KAKAWA CHOCOLATE WHILST YOU ARE IN TOWN DAVID. I went to Fouquet recently on your recommendation and to Pierre Hermé but I have not eaten chocolate or fudge better than they make at KAKAWA. It is on William street not far from where it intersects with Bourke street just to the east of the city. The banana caramel truffle, peanut butter triangle, orange rhubarb Ne dark chocolate truffle and tonka bean and vanilla truffles are a MUST. at the moment they also have the best rocky road you will ever try, one marshmallow made with real passionfruit, the other with cherry. treat yourself or let me know where I can send you some! david, i’ll be your friend. 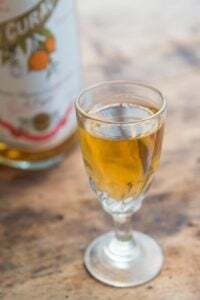 first time visitor to your blog/site: what an awesome trove of recipes. i thought sweet potato gnocchi and chimicurri was my accidental idea! My friend lives in Sydney and sent me the Bourke Street Bakery cookbook for my birthday. I’ve made lots of their recipes now and each and every one is DIVINE. It’s top of my hit list to visit when I next get around to going to Sydney…after reading your post I want to buy those plane tickets now! Have been following your blog since travelling to Paris last year. So glad you are in Sydney and having the ‘best of the best’. Enjoy your stay. David, about the Kri Kri Peanuts I’m not too sure about the quality you will get from retail nut shops, but if you’re interested I will pop them in the mail to you or deliver them personally to where you are staying and if your schedule permits and you have time for a visit I’m sure my friends would love to see you pop into their nut roasting business which also doubles as a deli with interesting middle eastern food products. They also make a fantastic bircher muesli mix and my favourite sesame nut bar. Check out what Im talking about on their website http://www.nutroaster.com.au . You could be there in 20 minutes from the city where you are staying. Oh, and I forgot to mention the sugar coated chickpeas. Strange but nice. I’m so glad you’re in Sydney! I’m not sure why as I live in Melbourne, but knowing you’re in Australia feels good. I’m just starting out as a blogger but I just wanted to drop a line in to say that I love your blog and admire all of your work. So thanks for all of your hard work, I look forward to reading more of your posts! You definitely have to go back and try the savoury food, at least the Pork & Fennel Sausage Roll, maybe the Chicken & Bacon Sausage Roll and a few meat pies too :-) I am so envious of you right now! The name of that bakery is Central Baking Depot, but it’s one and the same. Then you must make a trip to The Nut Roaster for a handful or two. 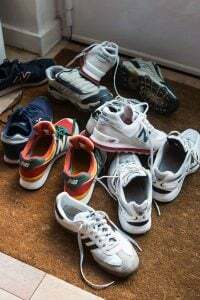 Just say the word and it’s organised! 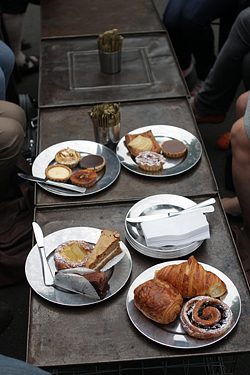 Pastry heaven, that’s all I can say! Everything looked so drool worthy, I had to track down a copy of the book. So, I bought a copy of the Bourke Street Bakery Cookbook last night on alibris. It was a new copy and only 28 dollars! They have some more copies that were listing in the 30’s. Their cookbook is going on my Amazon Wishlist immediately. 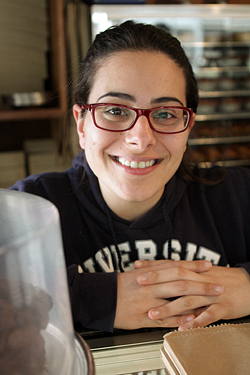 Thank you for enabling my cookbook addiction and for sharing your bakery discovery! Next time you’re in Chinatown go to Gumshara, I don’t live in Sydney but everytime I visit I need to have a bowl or three of their Tonkotsu Ramen. Oh I haven’t been there! I will have to fix that soon. I lived in Sydney for 10 years back in the 90s before Bourke St opened. Surry Hills wasn’t really part of “my Sydney” back then. There’s so much fabulous stuff there now, and I’m just learning Surry Hills really. I see you’ve been to both bills and Billy Kwong. I hope you get to the amazing Marque that is nestled between the too. 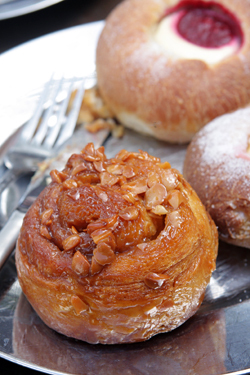 Bourke Street Bakery is one of Sydney’s absolute culinary treasures. Congrats David and Paul. You are both wonderful and generous chefs and deserve every word of praise. Can’t wait to see what is next on your food journey! Best bakery ever! :) Bought a copy of the book, have to try something from there very soon! I’m so glad you liked it! And to hear that the bread there rivals french bread, wow. I agree with a lot of the other commenters. 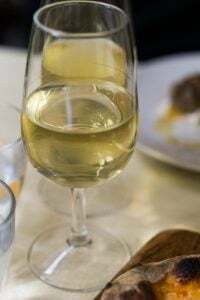 I’ve followed your blog all around the world from the madelines at Ble Sucre in Paris to natas at Pasteis de Belem in Lisbon and the amazingness of Momofuku in NYC (which joy of joys is about to open 5 mins from my home in Sydney) and it’s wonderful to finally read about something on your website that I know like the back of my hand. These are some of my favourite foods to eat in my city and are flavours that I’m always keen to share with visiting friends. Anyway, yay for ginger brulee tarts and lamb and harissa sausage rolls! I’m sad to have missed your talk as I was in Brisbane this weekend but hope that you enjoy what Sydney has to offer. 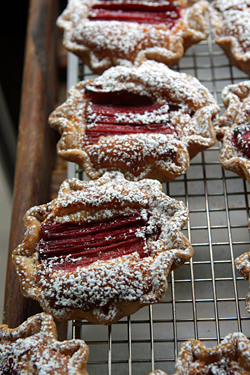 If you get back to Bourke St Bakery I recommend the chocolate sour cherry biscuits – if you haven’t already tried them. So glad you’re enjoying Sydney. So happy to see you are in Sydney – I concur that the pork & fennel sausage rolls are some of the finest taste treats ever! Now, if you find a decent bagel shop here make sure you tell us. I’ve been in Sydney for 8 years now and haven’t had a decent bagel since I arrived! Those tarts looks marvelous! 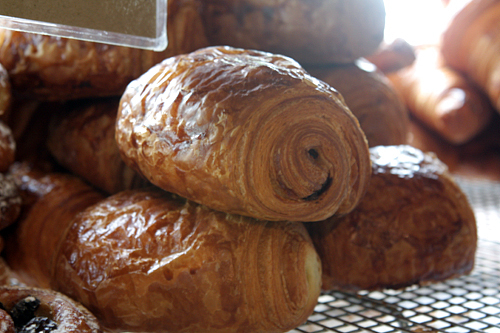 The croissants look delicious as well. 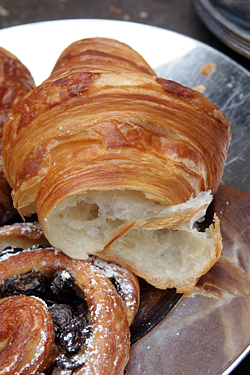 Beautiful fare…if only that bakery wasn’t halfway around the world! How much would I have to pay you to mail me one of those dark chocolate marshmallow raspberry tarts? I’m not joking here- I live in San Francisco and I don’t think my life will be complete without one (or 20). 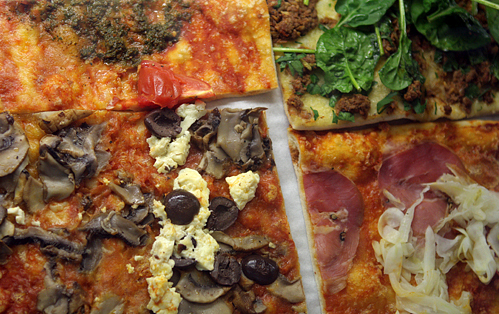 Saw on the news today that starting October Denmark has introduced a “fat tax” on fatty food. It is as high as 20% on butter. For those who enjoy real cakes, real biscuits and real pastry (in reasonable quantities) that is not such good news, is it…. A “fat tax”??? That’s horrible! Why is it that good tasting, real food, like fat and sugar get such negative attention? And what does it have to do with the government? 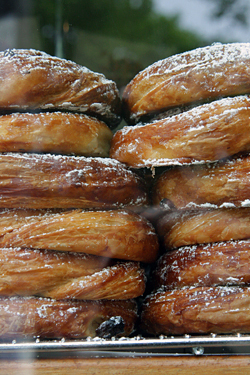 The food from the bakery looks delicious, it’s a pity I live way far away in Canada. And I would love to get my hands on some 45% cream! The best I can get here is 38% or 40%. What a buzz you are here. I’m a huge fan of your blog and work and checked in to find you are here. Brilliant. Couldn’t agree more with your local posts thus far. I agree that Adriano Zumbo merits a visit as does Honeycomb in Liverpool St Darlinghurst and this chefs previous digs, Cafe Sopra. Other foodie loves are Maya on Cleveland St for when you’re sick of cheffy food and feel like the best dosa (paneer or masala) in Sydney. Mamak for roti that’ll rock your world and also best-satay-of-my-life. For chocolate my favourite is Coco chocolates in Kirribilli and they also have a chocolate studio/kitchen in the most stunning location on the Harbour in converted army digs at the end of Middle Head Rd, Studio 21 (Weds-Sun only). There’s so much more, just not sure how long you’ve got, am sure your foodie friends will guide you well. Oh, and Single Origin roaster for the best coffee in this city. Grab a decent yum cha too. Enjoy! Oh wow! I just read your post and even though long hours are scary for opening a bakery or a confectionary I get so inspired when I read a post like this. I am very much at the beginning but hopefully one day I’ll be a baker…I have to learn anad practice a lot till then, but deep down I know that one day I’ll get there. Thanks for sharing! I wish you could stick me in your suitcase so I could go to all the magical food-filled places you do. This place looks amazing. You know how to travel! Thanks for your inspiring posts. Your post about the Bourke Street Bakery made me want to take the first plane to Sydney. Everything looks so delicious, I definitely have to go there once. To my delighted surprise there is the Bourke Street Bakery book, so the house is now filled with the smell of “apple, yoghurt, rye and cinnamon bread” and the taste is fabulous.